Marketing for small businesses is constantly changing. And while you don’t have to follow every hype, it’s important to take an opportunity to grow your business when it presents itself. But how can you tell if it’s a marketing trend or fad? How do you identify the real opportunities among the buzz? As tempting as it may be, following every marketing craze is not making your already busy life as small business owner any easier. So let’s find out how you can spot the difference between a marketing trend or fad! In the last few years, the marketing trends ranged from Snapchat to Meerkat, photo carousels to pop-ups and video marketing to growth hacking… the list is long. And it shows that marketing trends come and go – and not all of them are here to stay. As small business owner, you will probably find yourself on the marketing bandwagon from time to time. And that’s not always a bad thing. But there is a time and place for it. Here are my top tips on how you can cut through the noise and tell if it’s a marketing trend or fad. This will help you see if something is worth considering for your small business or just a distraction. Check it out! There are lots of data-based “best practice” posts out there: The ideal length of a Facebook post, the most popular content on Instagram, the best time to post on LinkedIn… And they’re not all bad. Especially if you’re trying something new, these case studies are as good a place to start as anything. But keep in mind that your industry, business and audience are unique. These stats might represent a different target group or country altogether. Or they might simply be so overgeneralised that they’re of no better use than a 7-day weather forecast in Scotland. So use them as a guide when starting a new marketing channel. But after you have collected enough data and experience yourself, start experimenting to find out what works best for your audience and business. Read more about how to identify a target market for your small business. When it comes to a marketing trend or fad, it sometimes feels like the internet is full of early adopters. Every new thing has them sign up immediately and hail it as the new kingmaker. And you certainly get a lot of handy insights from their ensuing blog posts. Like most small business owners, you are probably not keen on adding yet another marketing channel to your to-do list. But if you’re itching to try it, make sure you have the time for it. And most importantly: Make sure it is of value to your small business and target group. Being a pioneer is not a bad thing and can get you a lot of traction. But not all trends work for your small business. Before you start, find out about the pros and cons and if it really benefits you and your customers. Growth hacking, disrupting, big data, storytelling – every year a new set of buzzwords enters the world of marketing and follows you around the internet. New blogs praising them appear by the minute and self-proclaimed experts are highly sought after. As much as buzzwords were created to represent a new approach, there’s rarely a new concept behind it. A growth hacker turns out to be a marketer with a narrower focus on growth. And storytelling in marketing has been around a long time. The problem with these fancy words is that using them sometimes becomes almost tribal and can alienate people. So always make sure you focus on speaking your audience’s language before using them. Generally, there is a lot of fluff around marketing blogs, platforms and discussion forums. Unfortunately, some widely hailed events are full of these marketing trends or fads, too. 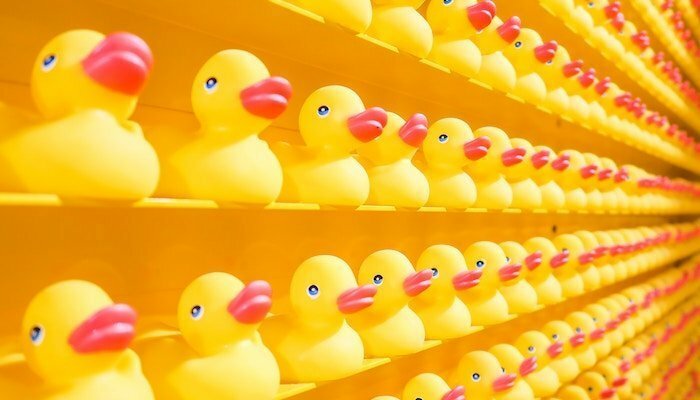 But as much as we are tribal beings and quickly attune to marketing trends and fashions, always keep in mind: You won’t stand out by following the crowd. That doesn’t mean you have to re-invent the wheel over and over again. This is about finding your own voice and not be just another copycat producing hot air. Don’t just follow every advice you’re given. Pick and choose what works for you and make it your own. And always ask yourself: WWMCT – What Would My Customers Think?